It’s much easier to sit back and observe, as crises occur around the world, but 16-year-old Indiana Hehir has a fire in her belly to fight for what is right, particularly when it involves children. With the weight of UNICEF Australia behind her, this young ambassador is making immediate change. “Unless you’re doing something about it, you’re just complaining.” It was these wise words from one of Indiana Hehir’s Grade 11 teachers that prompted the 16-year-old to stand up and be counted, rather than sitting back and being lost in the white noise. Indiana had been following the Rohingya refugee crisis in Bangladesh and while reading one of the many heartbreaking stories, started looking at ways she could get involved. “I’m fully capable and able to do something and I wasn’t doing anything,” she says honestly. It was then that she came across the UNICEF Australia Young Ambassador Program, but stalled on filling it out. It wasn’t until Indiana was in class one day, arguing about a humanitarian cause, that her teacher uttered those aforementioned wise words, which encouraged her to apply for the ambassador program. 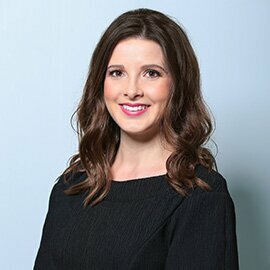 “The humanitarian sense of work has always interested me, and emergencies and crises in other countries have always interested me, so when I started to get a bit older and became aware of human rights and learned there were kids who can’t eat and aren’t safe in these emergency situations, I became more interested in wanting to get involved,” she says. “As a young person, it makes it easier for me to relate to another young person, it’s easier to compare my situations and understand where they’re coming from, what they might be feeling, and that’s a big part of the Young Ambassador Program, it’s kids working with kids for kids – kids are experts in their own lives, so who better to understand them? 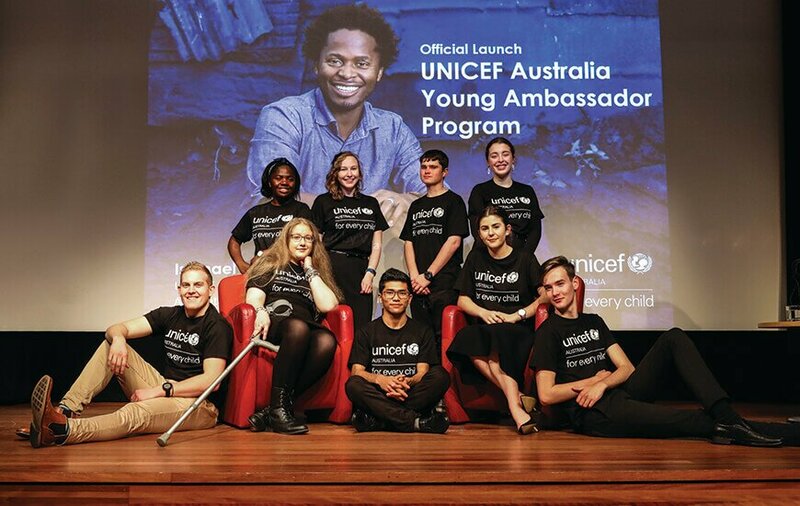 Given part of UNICEF Australia’s role is to ensure that the Australian Government works to fulfil its obligations under the UN’s convention, they annually appoint a team of young ambassadors to represent and serve their generation. Throughout the program, Indiana has three main objectives; to educate, influence and raise awareness, which complement the overarching goal of this year’s ambassadors; to come into contact with 10,000 kids, which they will achieve through online surveys and blog posts, as well as interactive consultations with 2000 kids. 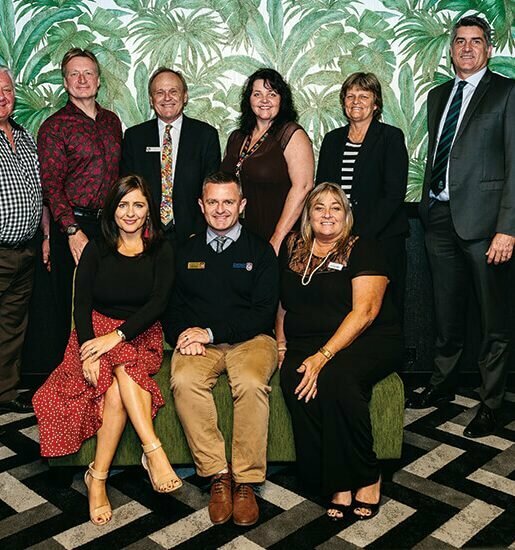 The information collated will form the basis of the Young Ambassador Report, which Indiana and her fellow ambassadors will present to Parliament in Canberra early next year. 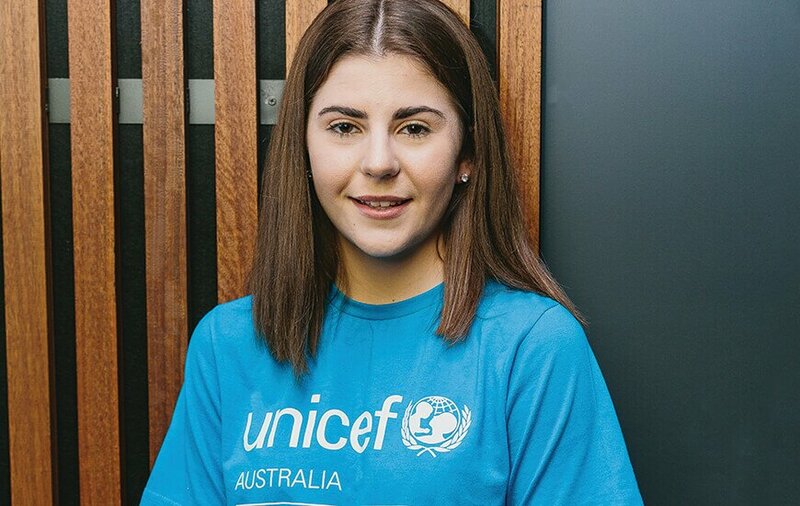 “We’re nine young people, aged 15 to 24, from all across Australia, from different walks of life, but we all have the same ideas about children’s rights and UNICEF. We’ve been given the opportunity through the young ambassador program and given the platform to raise the voices of Australian kids and really let politicians, influencers and people in power know what’s important to kids in Australia,” she says. “When you look at all of the topics being discussed in Parliament, like education and renewable energy; the voices of our politicians and communities are heard, but are we considering the voices of children as well? It seems ridiculous to ascribe worth by age, which is something we tend to do. Not only has Indiana immersed herself in her work with UNICEF and the obligations and opportunities of high school, she has also been an assistant teacher at her local dance school for the past four years, having been a dancer for the past decade. She says working with the children can be testing at times (especially when you have 15 six-year-olds in one room with tap shoes on), but helping them grow and learn has been extremely rewarding. With one more year of school left, Indiana is already looking to her future and it’s no surprise she wants to get into the humanitarian field of work. In the meantime, Indiana is preparing for her trip to Laos at the start of next year, when she will work with Days for Girls International, giving reusable sanitary packs to the young girls in Southeast Asia. Drawing on the tenacity of someone well beyond her years, Indiana has only one piece of advice for her fellow generation.